San Antonio, TX – March 15, 2012 – Aero Comfort is awarded another aircraft window program from MSA Windows. Aero Comfort has expanded their services to include window shade cutting and component painting to allow our customer to take full advantage of our facility personnel. MSA windows have been a preferred product for VVIP /VIP completions and Aero Comfort has provided upholstery support on numerous wide body completions programs ranging from mid size jets to large Boeing and Airbus platforms. 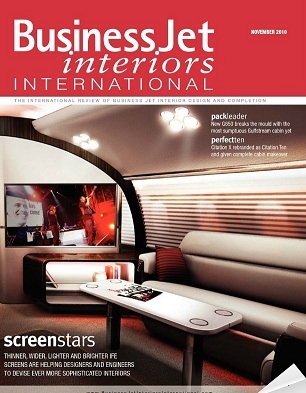 Their products and our upholstery craftsmahship was showcased on the cover of Business jet interiors International November 2010 issue. Article posted on March 15, 2012.